We hate to be the ones to bring it up… but summer is coming to an end. Luckily as Aussies we don’t have to worry about the impending doom of freezing temperatures. With trampoline-appropriate weather for most of the year, it only makes sense to treat yourself to a round trampoline this Autumn! It’s sad to see summer go, but keeping active and having fun doesn’t have to stop. An added bonus is that cooler weather means you won’t get too hot and sweaty on your trampoline, so you can keep jumping to your heart’s content. Trampolines are also a great after-school activity to keep the kids active throughout the year. And make sure to accentuate your trampoline with netting so that everyone participating in the bouncing fun stays safe! 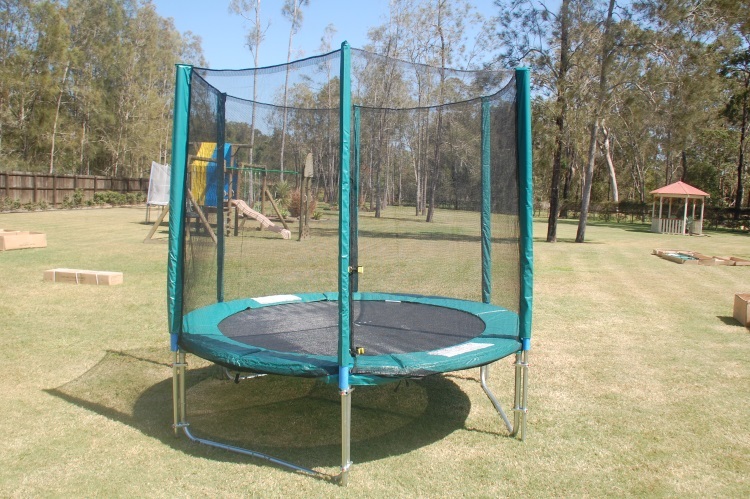 Here at Topline Trampolines, we have various sizes and enclosures to guarantee you’ll end up with the perfect trampoline. We’ve identified the best value round trampolines, so you can expect quality. We are available all year round to help out with anything trampoline-related. If you find yourself needing replacement parts or new accessories please contact our friendly team today and we will get you sorted.